Fortunately a lot of those things can be taken care of in routine maintenance. They may not be easy to remember because it is a long list, but your service center at Melvindale Car Care can help you know what's scheduled to be taken care of. Some of us in Melvindale, Michigan, really don't look forward to going in for an oil change and then getting a list of the other things the manufacturer recommends. You may not know this but the median age for private vehicles on our Melvindale, Michigan, roads is over nine years. When vehicles get older, five years or so, they've accumulated a lot of dirt and rust in their gas tanks. If that dirt gets into the engine it can cause thousands of dollars worth of damage. So somewhere between that dirty gas tank and the price of a great vacation is the lowly fuel filter: a very inexpensive part that doesn't cost too much to replace. And your vehicle will just run better too. A clogged fuel filter can't let enough fuel through. You might notice at first that your vehicle is running fine around town but struggles or sputters on the Melvindale, Michigan, freeway or when you accelerate. Enough fuel can't get through to meet the demands of higher speed. If it gets bad enough, your engine might just shut off or not start at all, which could be dangerous. 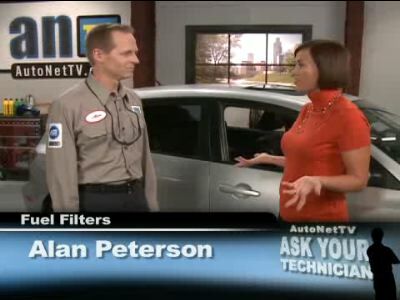 How often should you change your fuel filter? Check your owner's manual. Your Melvindale, Michigan, service advisor at Melvindale Car Care can tell you as well. It's usually around 30,000 miles (50,000 kilometers) or so. Ask if it's time for a full fuel system cleaning as well. They often go hand in hand. It's good to know that your Melvindale, Michigan, service center has your back. When you're motivated to maintain your vehicle's performance and to reduce operating costs, you'll think of Melvindale Car Care as your ally - and maybe even your memory.